On Cleveland State University’s senior night, the men’s soccer team put up four goals, and escaped Cleveland with a 4-2 win. Defender Luke Morrell recorded his third and fourth goals of the season in this match, as he helped move the team’s Horizon League record to 4-3-0 on the season. This was the second to last game of the season for the men’s team, as they look to gain ground for the Horizon League Championship. Midfielders Jimmy Todd and Dylan Borczak scored the first two goals of the match, and Borczak assisted on Todd’s goal as well. After three first half goals, Cleveland State could not come back and match Oakland’s offensive output. The men’s soccer regular season concludes with senior night on Friday, Nov. 2 at 7 p.m. with a match against Green Bay, which will be critical in determining if Oakland can get a home game in the Horizon League Championship. Oakland Volleyball put up a strong performance against the University of Milwaukee-Wisconsin, winning in straight sets, 3-0. Jamie Walling led the team in kills with 17, and both Walling and Krysteena Davis were active on the defensive end, recording 11 total blocks. The women were much more efficient than their opponent, with a hitting percentage of 28.2 and 52 total assists. 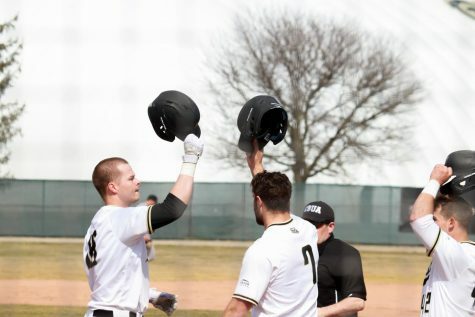 The win against Milwaukee combined with the win the next day versus UIC puts the team in sixth place in the Horizon League, with a conference record of 5-7. The next and final home game for the volleyball team is senior night on Friday, Nov. 2 at 6 p.m. against the No. 2 team in the conference, the University of Wisconsin-Green Bay Phoenix. The women’s soccer team played two away games this past weekend, including a Horizon League quarterfinals match against Northern Kentucky. On Friday, Oct. 26 the team traveled to Indianapolis to take on the Indiana University Purdue University-Indiana Jaguars, and emerged victorious with a 1-0 win. Midfielder Hollie Clement recorded the lone goal for the Golden Grizzlies, putting a header into the back of the net in the 43rd minute of play. 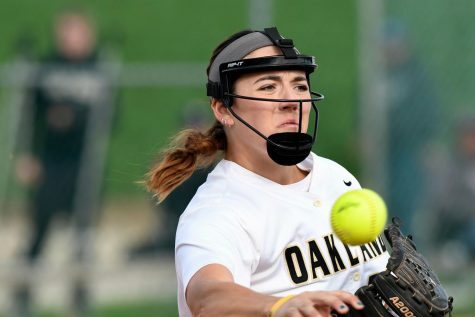 Goalkeeper Jaimie Leas recorded her fifth shutout on the season, as Oakland secured the sixth seed in the conference, guaranteeing them a spot in the Horizon League Championship. On Monday, Oct. 29, the women’s soccer team faced off against the team that had defeated them 2-1 almost two weeks prior, the Northern Kentucky University Norse. 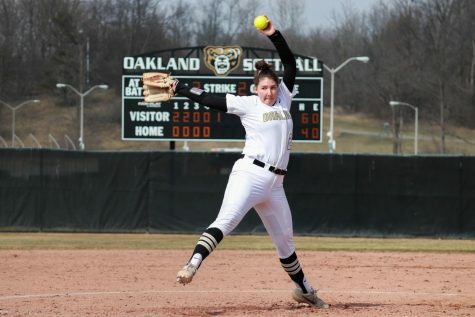 This time, the Golden Grizzlies were able to flip the script and defeat the Norse 2-1. The women allowed a goal in the fourth minute of the match, but then rebounded in the second half of the match, scoring two goals and shutting out NKU. Midfielder Sydnye Gagner recorded the go-ahead goal in the 77th minute of play with a header off a deflected ball. After the goal, the defense was able to consistently clear the ball out and keep the Norse from scoring the equalizer. With the win in Northern Kentucky, the women travel to Milwaukee to face the Milwaukee Panthers on Thursday, Nov. 1 at 8 p.m. in the Horizon League semifinals. The Golden Grizzlies took on Rutgers and Toledo in a swimming tri-meet. The Grizzlies beat Toledo 182-117, but fell short to Rutgers 184.50-115.50. 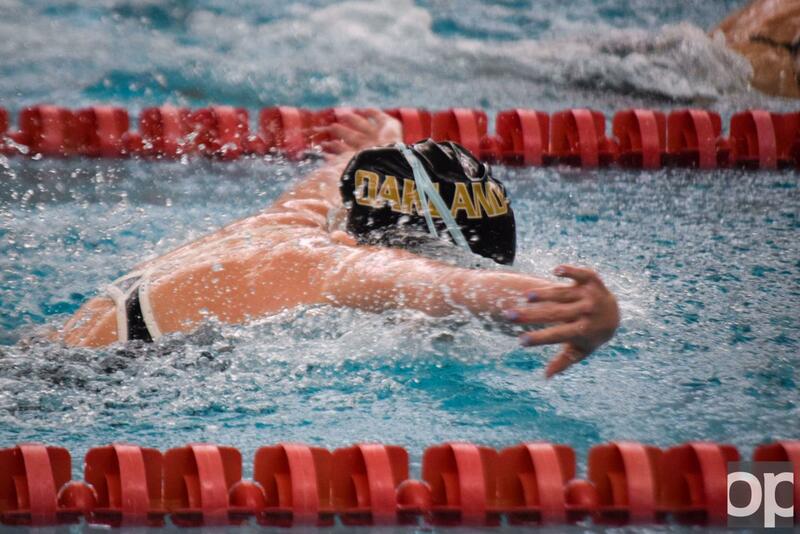 The 5’7” junior, Katie Colwell, was the MVP of the swim meet for the Golden Grizzlies. She took first place in three events; the 50-meter freestyle, 100-meter freestyle, and the 400-medley relay. She also placed 2nd In the 400-meter freestyle relay along with fellow swimmers Grace Shinske, Sydney McDowell and Susan LaGrand. The crowd was a driving force in Oakland’s success on Saturday. The swimmers carried the momentum and emotion of the crowd into every single event which propelled them to the victory against Toledo. Both the men’s and women’s swimming and diving teams will head to UIC on Friday, Nov. 2 at 5 p.m., and will be continuing on with league competition Saturday, Nov. 3 visiting Green Bay at 12 p.m..